When you drink your favourite coffee, what stands out for you? Is it the flavour that makes you take notice, does it remind you of a mellow wine, or a nutty chocolate bar? Or does it dry your mouth, and the overwhelming flavour remind you of a smoky barbecue? You see, something we've noticed from the start is that when our friends, workmates and new customers tell us they like 'strong' coffee, they usually point to coffee bought from a major chain, and it doesn't matter which store they buy the coffee from. That's part of the problem. To get consistency from store to store, from batch to batch, at Budan Beans we've noticed a lot of mass produced coffee is, in our opinion, over roasted. 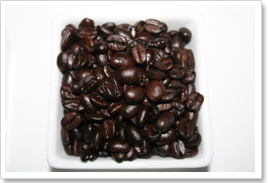 Put simply (very, very simply), roasting coffee is the application of heat to coffee beans. How long you roast the beans, how hot they get, makes a difference to their flavour. Keep roasting and the flavours keep changing and the beans get darker. Roast too long, or too hot, and the coffee beans are over roasted. Here's a simple test. When you're next at your favourite cafe, have a look at the beans in the hopper at the top of their grinder. Take a close look. Are they a golden brown, or so dark they are almost black. Do they look dry, or can you see what looks like droplets or even a film of oil across them and the hopper? We're willing to wager that most of the beans you see in a coffee shop are dark brown, almost black, with drops of oil forming on the beans. So? That oil, is the flavour. It's what should be coming out into your cup, as a rich crema that contains the very essence of the bean you are drinking. 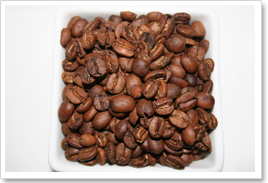 Instead, by roasting the beans for too long that flavour is replaced by the smoky flavour of the roast. To our mind, that's not coffee as it should be. Here are two samples to show you the difference. The first is roasted as we believe it should be, you'll taste the unique flavours we rave about every month when we offer a new bean; the hints of chocolate and caramel, nuts and spices. 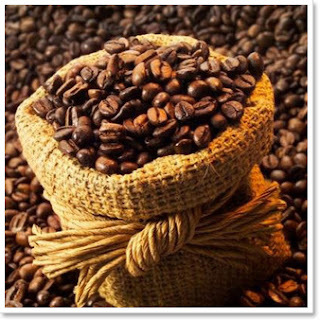 The second is how you will find coffee from many major chains. The oil is only just starting to appear, but over the next few days it will closely resemble the beans you'll find in most shops. So why do they do it? It's simple; consistency. 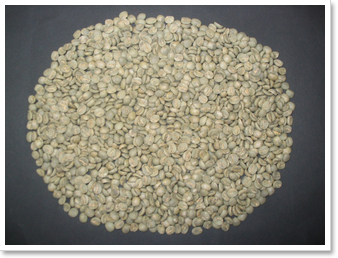 It means customers can be supplied almost any bean, no matter which region or quality, and by over roasting the individual characteristics (including some flaws) will be roasted out. It's mediocre, but it's consistent. 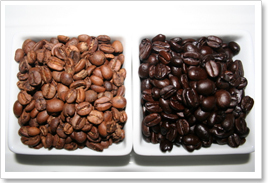 With Budan Beans' coffee, you'll taste differences between each bean we offer, between the different coffee regions of the world, and even individual beans from the one coffee growing region. We're sure you'll enjoy them, and by the nature of their different flavours, you'll like some more than others. But that's part of the experience. Try the Budan Beans difference today, sample ours side by side with coffee from a major chain. We're so confident that you will prefer ours we offer a money back guarantee. That's not something you'll find in a major coffee chain.